Going to see this grand spectacle of Miyagase Dam in Kanagawa Prefecture makes for a great day trip out of Tokyo. Beautiful scenery, hands-on crafting, and an up-close look at a dam in action, this fun and educational experience should not be missed! A researcher, writer, book-hoarder. Sometimes understands up to four languages, depending on the movie's plot complexity. 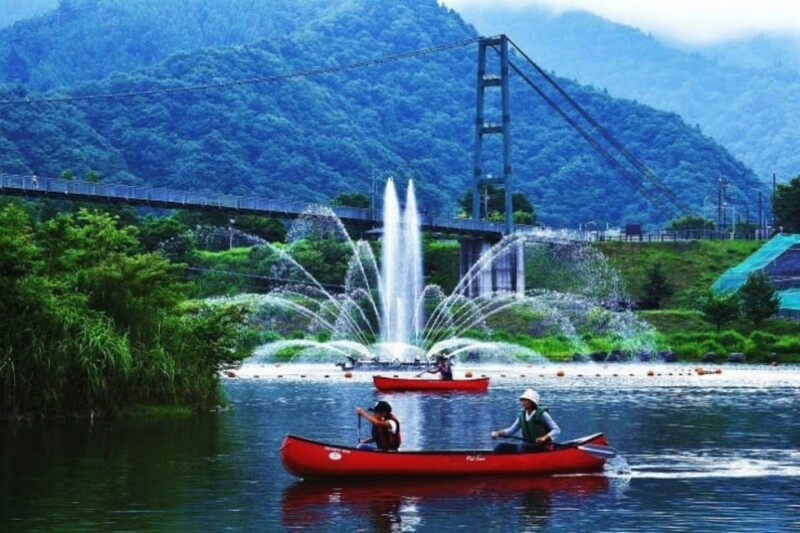 Miyagase Dam on the Nakatsu River in Kanagawa Prefecture releases only on certain days during the month, and going to see this grand spectacle makes for a great day trip out of Tokyo. 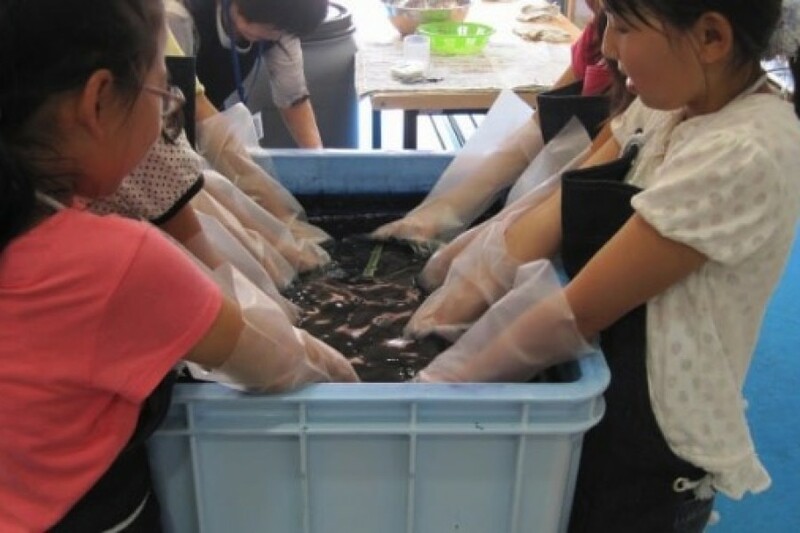 With the special discount deal offered through the Odakyu Line, this fun and educational experience shouldn’t be passed up. Beautiful scenery, hands-on crafting, and best of all, an up-close look at a dam in action. This trip will definitely leave an impression! In this article, we will walk through a day at Miyagase Dam together, introducing some of the wonderful places in the dam area and the unique experiences that await. It may be early, but it doesn’t feel that way in the sleepless bustle of Tokyo’s Shinjuku Station. 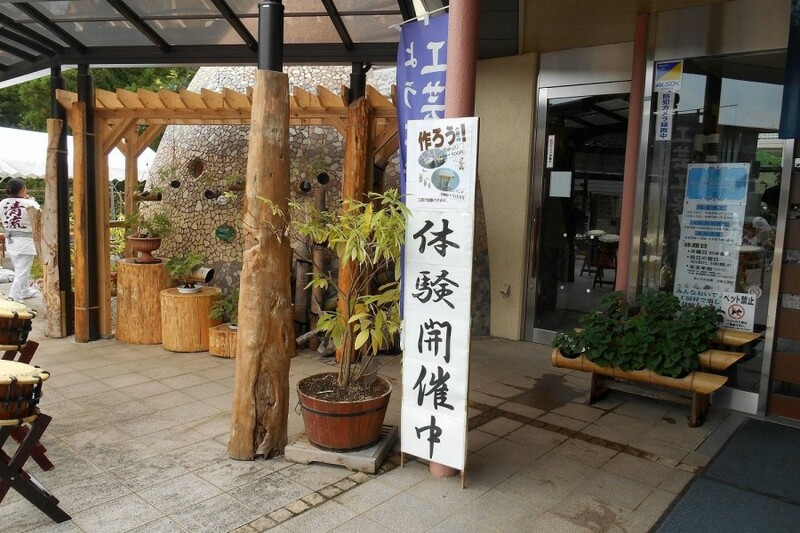 We’ll buy our special discount ticket for Miyagase Dam here, at the Odakyu Ticket Office. The Miyagase Dam Hiking Pass includes the round trip train and bus fare. 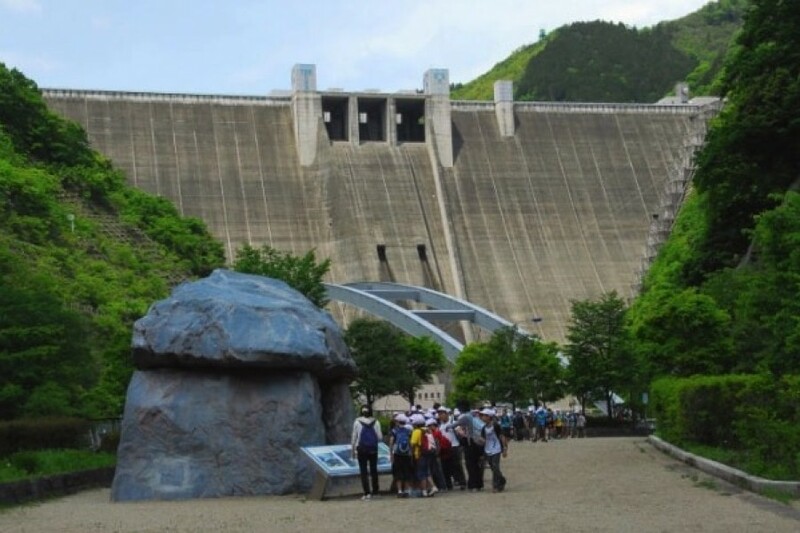 It also provides discounts for the In-Line Car and the tour boats at the dam site, all for 1,760 yen. We’re getting on the 7:37 Express train to Odawara, so let's put our pass in the ticket gate (don’t forget to take it when it pops back out), and make our way to the 5th platform. 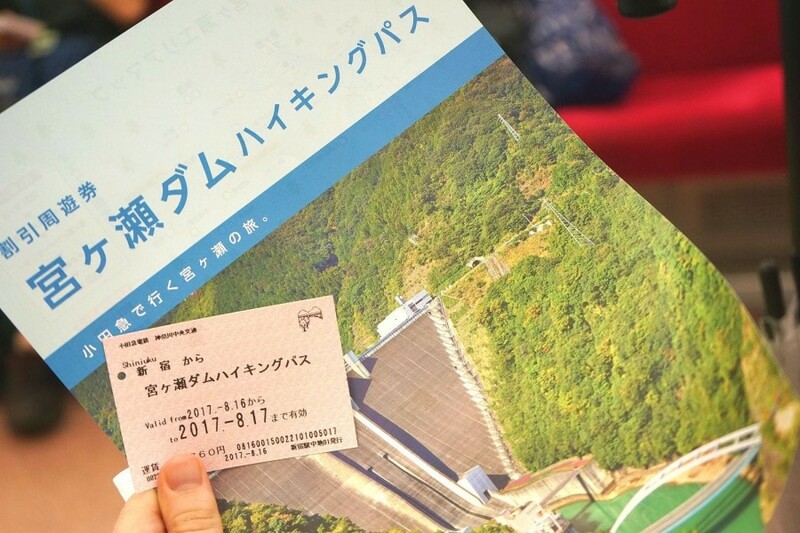 The pass comes with a Miyagase Dam brochure. Since we'll be on the train for about an hour, getting off at Hon-Atsugi Station at 8:29, there's plenty of time to look it over. Picture courtesy: Kanagawa Chuo Kotsu Co., Ltd.
After arriving at Hon-Atsugi, we’ll board a bus at the bus stop outside the North Exit of the station. There are few buses to our location, so for the sake of time, let's buy breakfast, some onigiri (rice balls), at the station convenience store to take with us for later. Many buses come through this stop, so it's important to make sure to board the right one. Our bus is the 8:40 number 20, headed for “Miyagase”. It will arrive at 9:35 at our destination: Miyagase Bus Stop. After an enjoyable hour ride through the countryside, we will arrive at the Miyagase Bus Stop, off to the side of the shotengai (shopping street), in Mizu no Sato Village. Our fare is covered by our hiking pass, so let's show it to the driver on the way out. Also, note the bus stop location. This will be where we board to head back home. Since it's early morning, many shops are not open yet. But not to worry! We’ll be back in the afternoon to buy souvenirs and snacks, so let’s head straight for Mizu no Sato Suspension Bridge while enjoying the onigiri breakfast we brought with us! Isn't the view from a distance beautiful? This suspension bridge hangs over the river, is about 315 meters long, 300 meters high, and is even more impressive up close. Let's head there so we can walk up on it and take a look around! Let's be mindful of the time though, and not forget our goal. 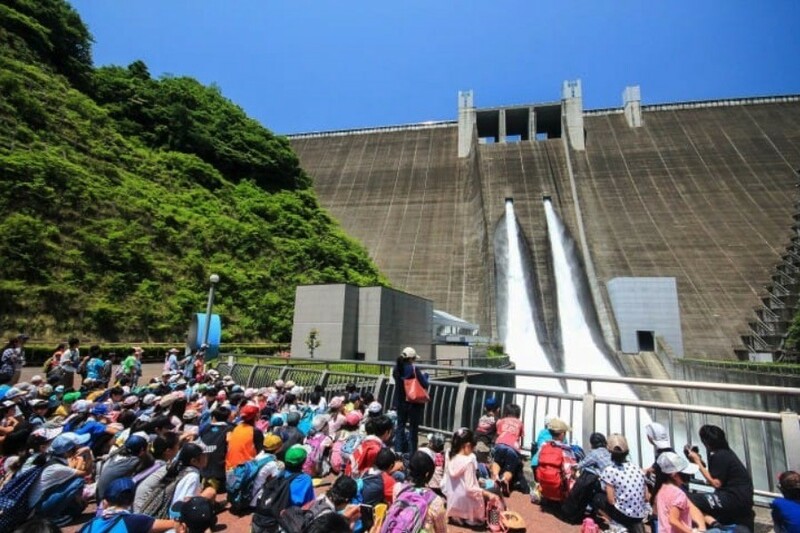 Miyagase Dam is only active twice a day, at 11 AM and 2 PM, on its release days and we plan to see both. So, let's use our discount and buy a boat ticket at the counter under the bridge. We'll be getting on, without fail, the 10:15 boat to the Dam Site. *Due to circumstances, rain or water levels, the tour boats may be unavailable. If so, there is a free shuttle bus with a 10:00 pick-up near the boat ticket counter. After a short 15 minutes on the lake, we’ve arrived at the dam. At the very top of it, that is! Miyagase Dam is a hollow-core concrete gravity dam. Multi-functional, it provides hydroelectric power, flood control, and amazingly 90 percent of the drinking water for two-thirds of Kanagawa Prefecture (including Yokohama). Strolling around, taking this in, we make sure we are in place in the middle, to look down over the right side with camera ready, at 11:00! The dam waits for no one, and this wonderful sight will only last 6 minutes! On a rainy day, as I experienced it, it was breathtaking. On a sunny day, like the picture, it's absolutely stunning! Access 60-minute bus ride from Hon-Atsugi Station on the Kanagawa Chuo Bus headed for "Miyagase". The dam in action leaves quite an impact. One that leaves us... hungry. Let's head to the Lakeside Café! 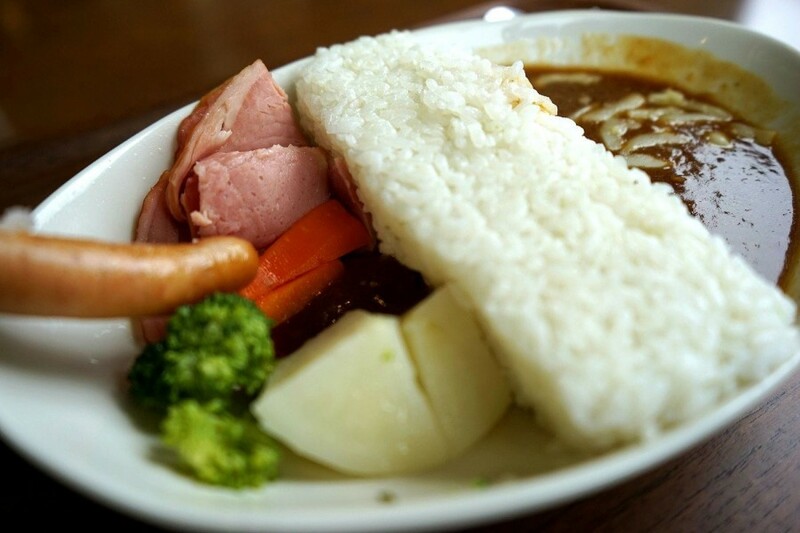 The Lakeside Café, inside the Water and Energy Center, is known for its delicious and inventive Dam “Release” Curry. They only make a certain number of dishes a day, so it's best to head straight there to get a ticket. The owner is cheerful and kind, and also speaks English! She can help us buy a Dam “Release” Curry Ticket from the machine. The dish itself is adorable. 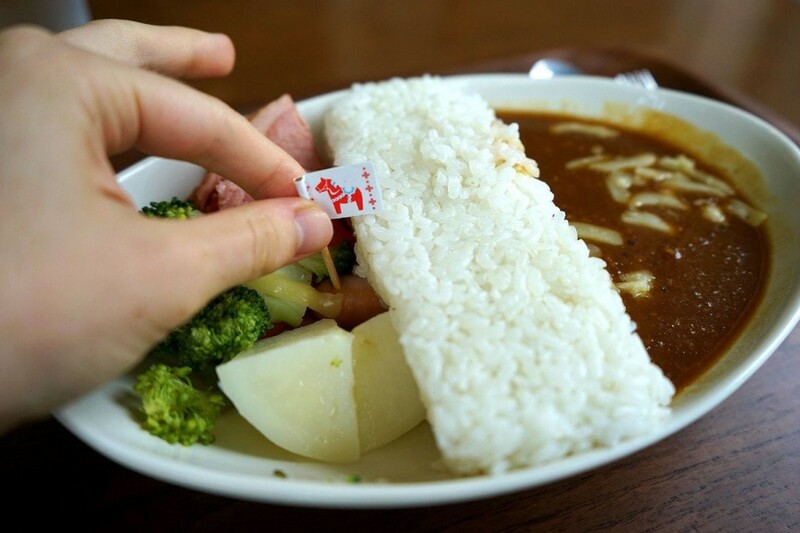 Pulling the sausage lets the rice-dam “release” curry to fill the vegetable part of the lake-plate. Delightful! A miniature dam, with a fresh tomato flavor, all for 1,000 yen. Access: Located within the Water and Energy Institute at Miyagase Dam. 60-minute bus ride from Hon-Atsugi Station on the Kanagawa Chuo Bus headed for "Miyagase". Now that we’re fed, let's head back to the dam platform to get to the free elevator. This elevator will take us down to a hallway, which then leads to the dam’s base. Just... woah. This dam is huge! 156 meters to be exact, the second largest in Kanto (Eastern Japan). And, it may be hard to believe while looking, but construction actually began in 1971! It took until the turn of the century to complete, but is further show of this area's commitment (which began in 1938) to hydroelectric power. We’ll be back at 2 PM sharp to see the dam release from its base, so let's take a moment to look around. For now, we're on our way to the park, so we're just taking mental notes as we head away from the dam. There seems to be one really good viewing spot right in front of the dam, where many people are gathering on a bridge. But, crossing another bridge further out, this also seems a great place to watch from. To get to the main park area, we need to follow the road for some minutes, and to head up-slope to the left when it splits. The main park court is beautiful and relaxing, and might be a fun place for children to run around. But there's exciting craft-experiences awaiting, so onward to the Kogei Kobo Mura! Arriving at the Kogei Kobo Mura, we find many different craft experiences we could try. We need only pick a card (with craft type and time period), and take it to the reception desk to reserve a spot. 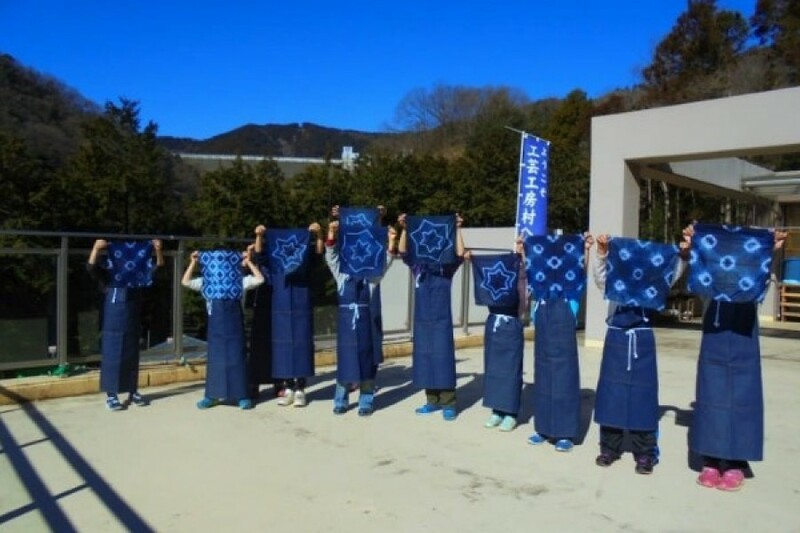 Traditional “aizome” blue-dyeing comes highly recommended, so let's do that! 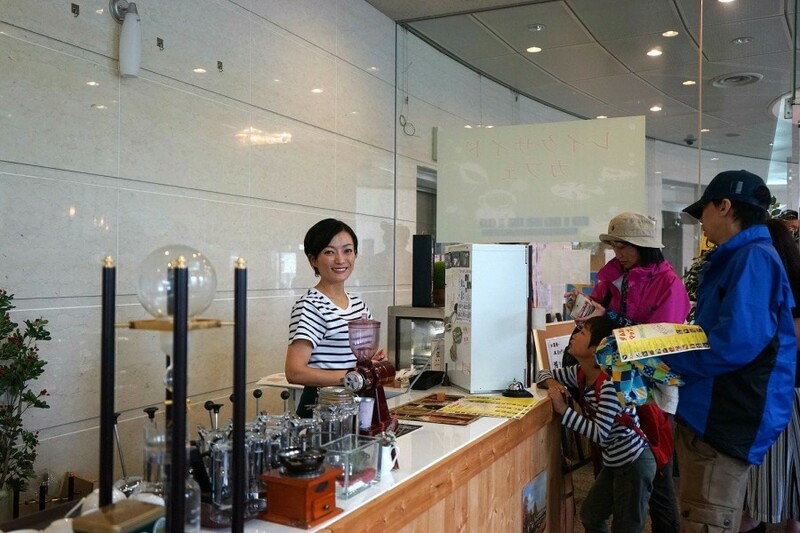 For 800 yen, we can make a one-of-a-kind souvenir: a hand-dyed handkerchief! Once finished, we can take some time to look around at other finished crafts on display. We just don’t want to spend too much time! We have a 14:00 date with the dam. Price Free entrance. Each workshop requires a fee. Now, this is what we’ve been waiting for all day! The up-close, full-front view of the dam release. The bridge in front of the dam is quite crowded, so let's start watching from the further bridge. After snapping some great pictures, we can start walking toward the dam for a closer view. 6 minutes is plenty of time to make it to the closest bridge before the water stops. The force, the spray... it's really something to behold. Let’s take the In-Line Car back to the top and cash in again on our discount! We just show our hiking pass to the staff at the ticket machine, pay, and hop on. On a clear day, this short ride has a great view of the huge girth of the dam. Once back at the top of the dam, we need to go to the boat ticket counter and purchase a 14:35 discount ticket back to Mizu no Sato Village. Remember that Shotengai (shopping street) from this morning? Well, now we’re going souvenir shopping! There’s plenty to explore, and plenty to choose from. For a snack, should we have ice cream or corn-on-the-cob? Or stop in a cute café? It’s been quite a day! We’ve taken beautiful pictures, hand-dyed a handkerchief, eaten delicious foods, and had the grand opportunity of seeing a huge dam in action. It’s time to get back on the bus and head to Tokyo to tell all our friends! Or... we could make a night of this, and head to the Iiyama Onsen right down the street. Through luxury and relaxation, we could turn a memorable day trip into a spectacular overnight stay! The hot springs in the Iiyama Onsen area are famous for their beautifying effects, as well as for relieving fatigue, so it comes highly recommend. 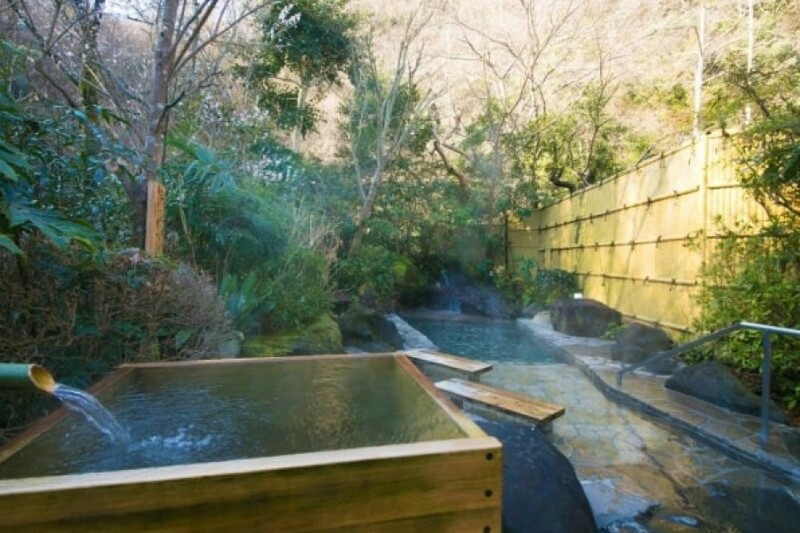 This opportunity to enjoy a long, relaxing bath in these hot springs is too much to resist. There are actually several different baths available for the guests to enjoy, such as the open-air hot spring and even the open-air bathtub. Experiencing them alternately is most effective to relieving fatigue and improve blood circulation. We could head back to Tokyo, but who wants to miss staying at the Iiyama Onsen Motoyu Ryokan, a traditional Japanese inn where we can really enjoy the local hospitality? Overnight it is! Access 1) Tae the bus headed to Miyagase/Kami-Iiyama from bus stop No. 5 in front of Hon-Atsugi Station. 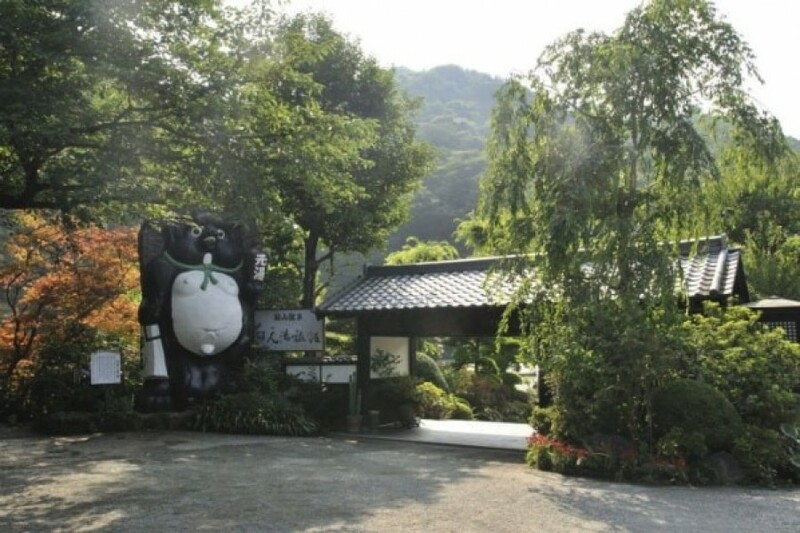 You will reach the iiyama Onsen after a 25 minute ride. 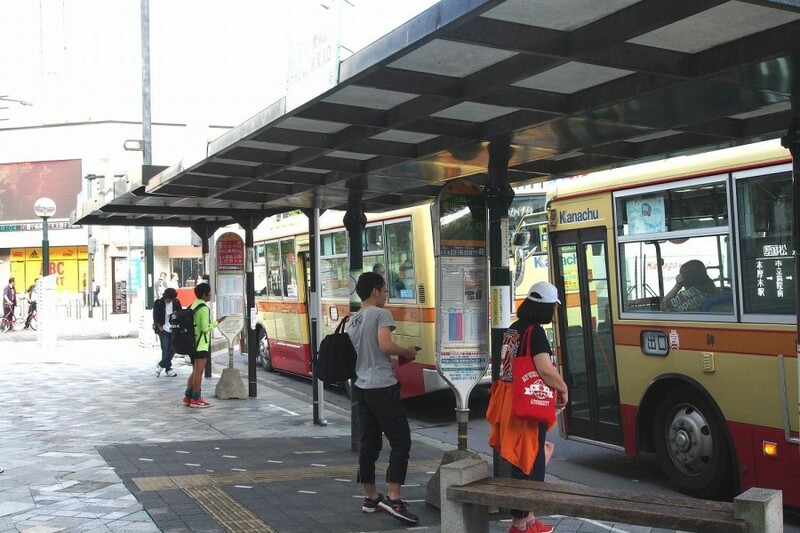 2) Free shuttle bus available from Hon-Atsugi Station (reservation required). 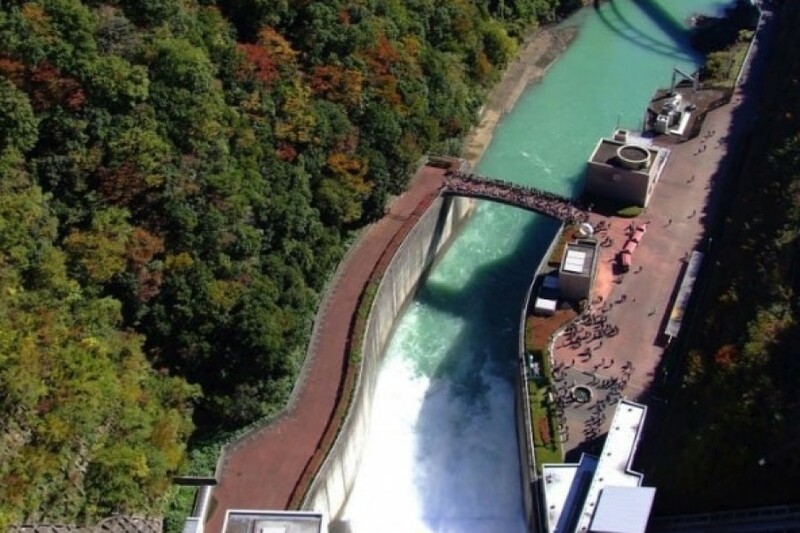 So what do you think of a day trip to the impressive Miyagase Dam in Kanagawa? 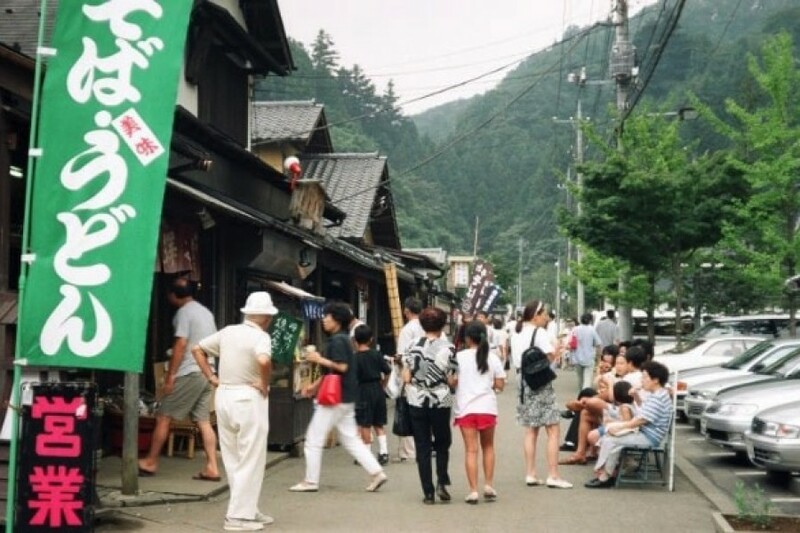 The dam release is an attraction in itself, but there are so many other great experiences to be had: the Dam Release Curry, shopping at the local shotengai, making your own beautiful souvenir at a traditional craft workshop, and an overnight at a relaxing inn with hot springs. It's a day of wonders (and discounts!) not to be missed.